Photobot 3000 is a Philadelphia based company that's taking the world of event photography and marketing by storm. By combining special effects, props, projections, and social media we create the ultimate in consumer buzz and audience interaction at any event - a portable photography studio branded to the needs of any client or theme. We specialize in weddings, fundraisers, club/nightlife events, concerts, launches, holiday/office parties, you name it we've done it, and just about everything about our service can be customized/done to your specifications. We had an incredible experience with Photobot3000 at our wedding this summer. 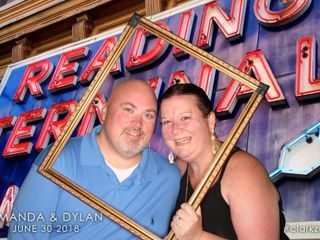 We knew them from events we'd been to before around Philadelphia, and when we decided (at the very last minute) we wanted a photo booth - we jumped at the chance to hire them. From the booking process, to nailing down our custom art, to the day of the event - everything they did was professional, perfectly executed and done with kindness and warmth. They are great communicators by email. Their designer explained the background art and frame process so well, and when we provided him with some reference images, he created the most wonderful set of backgrounds for us. They also have a great range of prices and services, great for any budget, so we could make it work for us. 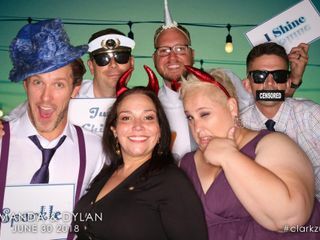 At our wedding, everyone had so much fun taking photos - they brought wonderful props and kept that part of the party going all night long. 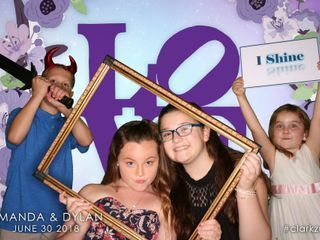 And they were SO patient with all of the crazy kids at our wedding who LOVED the photo booth!! We were so grateful that we have those moments captured. Having Photobot3000 at our wedding added to the joy of the night, allowed us to get some great professional-quality shots of our guests in their element and just was a perfect addition to our both our photography and the night's activities. 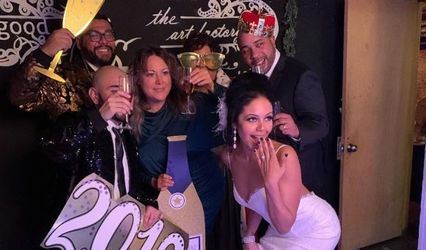 We would 100% recommend them to anyone having an event in Philadelphia! Thank you so much for the kind words Amanda! It was such a pleasure working with you and we're honored that you chose us to be a part of your special day. 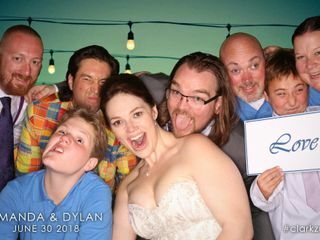 Wishing you and Dylan a lifetime of happiness!!! An amazing experience. Our guests loved it. The easiest coordination. 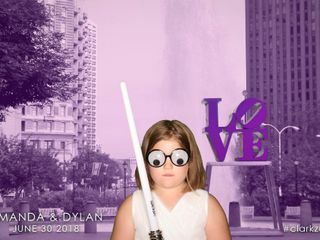 Best photobooth ever! I booked photobot3000 after attending a Yelp event a few years back. Best decision I could've made for our wedding. 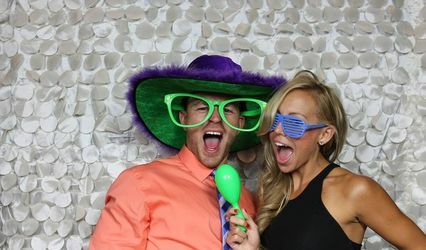 While more expensive than other photobooth options, they will work with you. You get standard and customized backgrounds and work with a designer to make your booth backgrounds the most personal for you. All our guests loved the open air booth and being able to post photos to social media right away. Our booth attendant, Brian, was high energy and fun.